Han Solo (Harrison Ford) in the main briefing room of the Headquarters Frigate, during Return of the Jedi. Lucasfilm Ltd. 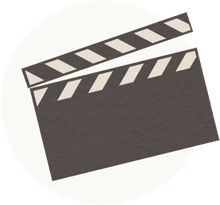 The character of Han Solo has developed considerably since his first appearance in the Star Wars universe as a dashing smuggler who appeared to care more about money than other people. The later films and Expanded Universe reveal a more three-dimensional picture of Han as someone who, while daring and self-reliant, cares enough about justice to risk his life for the Rebellion. Han Solo was born on Corellia in 29 BBY. Orphaned at a young age, he made his living as a beggar and pickpocket. The criminal who raised him, Garis Shrike, soon got Han involved in more dangerous crimes. Han ran away in his late teens to become a pilot. Hoping to join the Imperial Navy, Han altered his identity and enrolled in the Imperial Academy. His military career came to an end, however, when he protected Chewbacca, a Wookiee slave, from an Imperial officer. Han was brought before a court-martial and was dishonorably discharged. But Chewbacca owed him a life debt, and with his new Wookiee partner at his side, Han began a career as a smuggler. Han later won the Millennium Falcon from Lando Calrissian in a card game, and the smuggler duo and their ship became famous throughout the galaxy. Shortly before the events of A New Hope, Han was smuggling spice for Jabba the Hutt when he was boarded by Imperials and forced to dump the shipment. Desperate for money to pay Jabba back, Han agreed to take Obi-Wan Kenobi and Luke Skywalker to Alderaan, then to help rescue Princess Leia with the hope of a rich reward. After abandoning the Rebels before the Empire attacked, however, he returned to help Luke make the successful shot to destroy the Death Star. Although Han stayed with the Rebels after they moved their base to Hoth, the threat of Jabba's retribution still hung over his head. He helped Leia escape an Imperial attack on Hoth only to fall into an Imperial trap on Bespin. His budding romance with Leia was cut short when he was frozen in carbonite and brought to Jabba by the bounty hunter Boba Fett. After Luke and the others rescued Han from Jabba's palace, Han became a general and led the Rebel attack on the Death Star's shield generator on the Forest Moon of Endor. Although his team unwittingly walked into a trap, they were able to take down the shield with the help of the Ewoks. Joining the Rebellion turned Han Solo from a notorious smuggler to a respectable hero -- although the tricks of the trade he learned as a smuggler often proved useful in his new profession. He continued to fight for the New Republic, leading campaigns to liberate the Wookiee planet Kashyyyk and defeat Warlord Zsinj. He did not continually serve in the New Republic military, though he was periodically asked to return to his former role as General. Han's relationship with Leia grew rocky after the Galactic Civil War ended, however; she was still an important political figure, and he would still be an outlaw if not for the Rebellion. In 8 ABY, Han kidnapped Leia in order to prevent her from entering into a strategic political marriage. They eventually realized their love for each other, married, and had three children -- Jaina, Jacen, and Anakin. Although Han was not Force-sensitive, all of his children inherited Leia's connection to the Force and were trained as Jedi. Han faced tragic losses during the Yuuzhan Vong Invasion: his first mate and close friend Chewbacca was killed, followed by Han's own son. He fought against his surviving children during the Second Galactic Civil War, in which he sided with his native Corellia. Despite the tragedies he faced, however, Han and his bonds with his family have remained strong. In early drafts of A New Hope, Han is a large, green-skinned alien. Lucas soon split the roles of pirate and alien sidekick to the heroes into a human Han and alien Chewbacca, and the character of Han gradually developed from a flamboyant, bearded pirate to (in Lucas' own words) "a tough James Dean" type. Lucas later toned down Han's anti-heroic qualities in the Special Editions, however, by making Greedo shoot first in the famous Cantina encounter. Harrison Ford made the role iconic but was cast almost by accident. A friend of George Lucas, he was employed as a carpenter on the set and helped feed lines to the actors auditioning for the role of Han Solo, including Kurt Russell, Christopher Walken, and Billy Dee Williams (later cast as Lando in The Empire Strikes Back). After hearing him read lines, Lucas soon realized that Ford was perfect for the part. 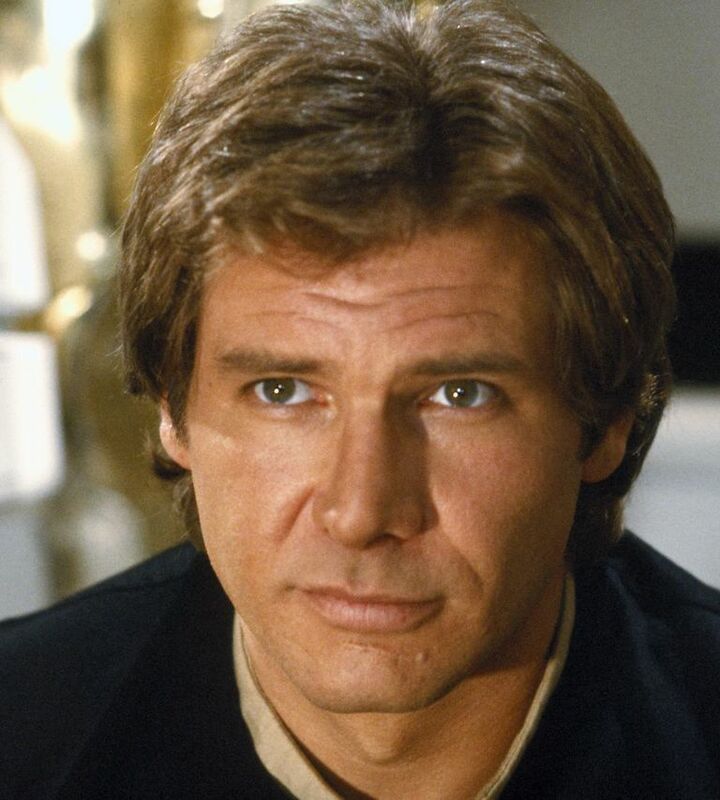 Han has been portrayed by various other actors in radio dramas and video games, including Perry King, James Gaulke, Joe Hacker, Neil Ross, and David Esch. Han Solo was the star of some of the earliest Expanded Universe novels: The Han Solo Adventures by Brian Daley (Han Solo at Stars' End, Han Solo's Revenge, and Han Solo and the Lost Legacy), all published between 1979 and 1980 and taking place before A New Hope. Han's adventures in this early trilogy are integrated into the larger Expanded Universe framework in the last book of The Han Solo Trilogy by A.C. Crispin (The Paradise Snare, The Hutt Gambit, and Rebel Dawn), published between 1997 and 1998.